Now, building a new customized marketplace is not a difficult task. It is an easy step-by-step process in which you may need more than just a software. Sharetribe is a tool through which you can create your own marketplace, but you may require more than just a software. Sharetribe has a solution for the entrepreneurs who lack technical resources- the Sharetribe team has taken the development process to next level. One can create their own marketplace from the scratch without coding with a 30-days free trial of Sharetribe. The platform facilitates anyone around the world to create their own marketplace in a couple of minutes. Isn’t it amazing? Executing an idea has become easier with Sharetribe as it allows different options to do the same. You can sell products, facilitate peer-to-peer rentals, booking services, and much more. Overall, they support all the types of marketplaces, so, the choice is all yours. Another feature is built-in payment options. It accepts payment from both PayPal and all major credit cards. Available in 190+ countries and support 25+ currencies. The admin panel of a marketplace is helpful for easy management and moderation of marketplace. Analyse the data precisely by connecting Google Analytics. It has advanced tools for refining and classifying the content using keywords. Different filters are available to structure the categories, subcategories, and custom filters. Selling and renting services could not get easier! This feature made adding product information easy that includes pricing, geolocation, multiple photos, and managing their listings. Mobile phones are essential parts of our lives. So, making the marketplace responsive is a priority. Users can get a great experience on all the devices. The content loading and easy e-commerce options are available. The content loading is smooth and easy. Unlike other such software, tools are available to add custom branding- logos, cover photos, color themes, and custom domain. One can use CSS to customize and further design the hosted site. Broadcast your marketplace on social media, get more sign ups, share the word on Facebook and Twitter. Easily link the blog with the marketplace. The best part is that all marketplaces of Sharetribe are SEO optimized. The members and users can connect easily through messages. All the members will have their own inbox on the particular marketplace. They can also keep track of orders easily. Sharetribe offers different options according to your demands and needs. One can avail a 30-days free trial. After which there are different pricing options available which start from $79 per month to $239 per month with different features. In conclusion, Sharetribe has made many things easier. It is an amazing resource for the aspiring entrepreneurs. The main purpose of Sharetribe is to make marketplace easy for everyone. You can take any social media, utility, or e-commerce app now, your location will be required for at least one or another purpose. The technology used for this trend is called Geolocation, and you can easily use it with a GPS-enabled smartphone. They associate real-world location (such as restaurants, superstores, events, etc.) with yours. GPS work on the basis of the GPS chip installed in your phone that provides your exact location with geolocation apps like Google Maps. It gives the most accurate results when you are outside in clear sky. When GPS signals are unavailable, geolocation apps take the information from the cellular network triangular and your approximate position, though it would not be accurate. Some geolocation systems use GPS and cell site triangulation in combination to zero for the device location. This arrangement is called Assisted GPS (A-GPS). The geolocation app gives accurate results in the fairly clear sky. It causes problems in localities where storefronts are in close proximity. These issues are solved with A-GPS. Geolocation has become mainstream. 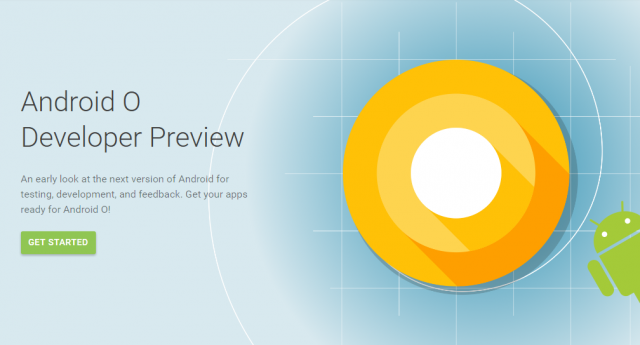 The tech giants are not only looking forward to it, they have made it one of the features for their apps. From Facebook to Snapchat, all these social media apps have special geolocation features. Facebook launched the geolocation feature that tells your location to your friends, while Snapchat has recently introduced the geolocation along with amazing graphics. Apart from this, Google introduced Google Buzz. Twitter has introduced the geolocation API that allows third-party developers to incorporate the feature into their apps. Unfortunately, your privacy is a major concern while sharing your location on social media. It puts your security at risk. Though companies are working hard at keeping the privacy and reducing potential dangers, without always succeeding. Most apps provide you a certain level of privacy. Geolocation has become advanced with time, it has been applied to many location-based applications. Our team has also developed applications based on it called Vehicle Tracking System, GeoRadius, etc. These apps are used for fleet services, tracking services, taxi dispatch services, employment tracking services, field force tracking, etc. Also, these apps are used to provide solutions related to vehicle protection and personal safety. Apart from this, our team has also developed an app called Fooda which is used to order food from nearby restaurants. It has also used Geolocation technology for ordering food. Right now, real world applications of Geolocation are growing at fast pace. Apart from mobile data penetration and gaming, the location-based apps are used for many important operations in different industries. Enbake has dedicated team in the field of GPS telemetry who has been working on location driven mobile and web apps for industry verticals such transportation, food delivery, education, personal tracking, and insurance. Competition brings out the best in everyone, especially when it comes to business. Almost every business has a website which is important for growth, but what is the use of that website if it is not visible to the visitors? Having a website is meaningless if it doesn’t help you in growing your business. If your website doesn’t show up in the first few pages of the search engine, the people would not even notice it. According to a research, 89% of people use search engines to look for products, services, and information. But how do you manage to rank well on search engine pages? The answer is through Search Engine Optimization. It is the process of getting traffic from the free, organic and natural search results on the website, also known as SEO. 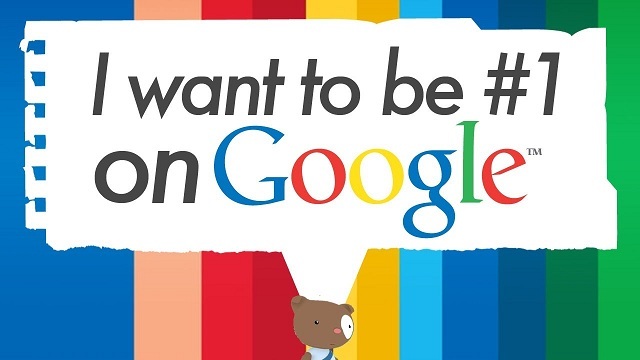 Most popular search engines rank the web pages on what the search engine considers most relevant to users. 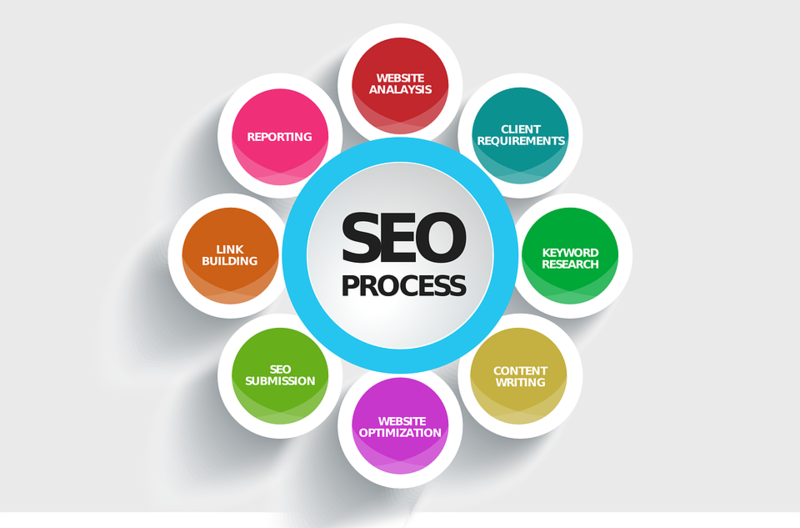 The term refers to the process of tuning a website to achieve a high ranking for specific keywords or phrase. SEO is not what it used to be 2 years ago. Now, the key to SEO is meaningful content. The main problem you will face is that very few companies and people know how to optimize a website or what to do afterward. Yes, it is possible to create an attractive site, but there are hundred such websites which look the same. SEO majorly depends on the content of your website. So, you are supposed to put original content on your website. You need to hire a company who know about search engines and how they prioritize and rank the website. They should know about things like website traffic, social networking, and other technical aspects. So, after know about the search engine optimization and the problems, we conclude that the focus of SEO should be on the searchers, not the search engine. All the search engines have the same criteria of ranking page. They rank on the basis of what is most relevant to the user. So, rather than focusing on what search engine wants, the company should focus on what the user wants to see. This is what makes your website’s ranking better. Yes, you read it right, it is free! It is an open source project which is completely free. You can simply download, set it up, and start your project. You can make any modifications in the code according to your project, you don’t have t buy any license or give a part of your revenue. Spree is based on Ruby on Rails. It is an elegant, fast, and modern programming language that provides amazing solutions. It completes the work in less time, efforts, and resources; and also enhances the functionality, comparing to other e-commerce platforms. You can easily customize your platform according to your and customer’s needs. Managing orders, customers, and payments become a time-consuming task. Spree Commerce makes this work easy and efficient. It makes the management system fact. It gives and efficient, simple, and easily functional dashboard. You can easily adjust payment methods, product sorting, tax rates, currencies and other vital settings in just a few clicks. Apart from amazing management, it has a set of amazing features that improve the performance of your store. There are different options for SEO like keyword targeting, back linking, permalinks, meta-description of products, etc. It also supports major payment methods and gateways. It can be easily integrated with external services like Jirafe, Mandrill, Amazon, Bronto, Odoo, Shipstation, Zendesk, Netsuite, Mailchimp and etc. Spree has a huge community with very active developers who develop the platform, add new functionalities, and solve challenges together. They also have support which solves the issues you get. There are free workshops, training, and the famous annual SpreeConf. 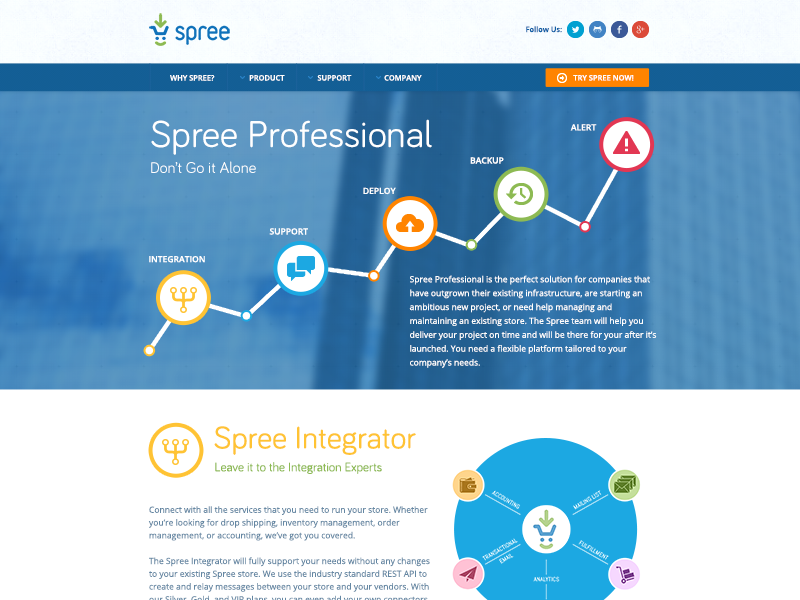 Spree Commerce provides a complete set of documentation as well. In conclusion, a good developer can build an efficient and smart solution for your e-commerce site. It gives a robust e-commerce solution. It is best for the start-up or small businesses that are short of finances. It is an amazing solution to boost your sales as well. Ruby is definitely one of the most widely used languages nowadays. And if you are also working on Ruby, you must have heard the word ‘metaprogramming’. Even if you have used metaprogramming, there are chances that you didn’t understand it completely. Metaprogramming is an important concept of Ruby, and you need to understand the usefulness of this concept. It is a technique in which the written code writes itself, you can say programming of programming. This might sound confusing, but it is pretty simple to understand and work with. It helps you to add, edit, or modify the code while it is running. It can be used to create new methods or delete the existing ones. One can also reopen or modify existing classes, catch methods that do not exist. Repetitive coding can also be avoided to keep your program DRY. To understand the concept and scope of metaprogramming, it is important to understand how Ruby find a method when it is called. When a method is called in Ruby, it located that method within the code including the inheritance chain. In the above example, mixed inheritance is introduced. Methods defined higher in the inheritance chain needs to be considered by Ruby. When babe.lives_in is called Ruby first check the Pig class for the method, and it is called because it exists in the Pig class. But if babe.eats method is called the story would be different. Ruby first checks the Pig class for eats method, as it does not exist in it then ‘Animal’ class will be called. In our case, it will respond as eats method exists in Animal class so it will be called. The method babe.thisdoesnotexist will throw an exception NoMethodError because the method does not exist. It means method defined in the lowest level of inheritance chain will be called if the method doesn’t exist, and an exception will be raised. Ask object’s parent class if it can respond to the method, call it if found. If it does not respond, call the next parent class, continue until you reach the top of the inheritance chain. If nothing in the inheritance chain responds to the method call, the method does not exist. Singleton class is designed to give you the hold on to Object Oriented programming. It allows you to create an object that inherits from other classes and call their methods. It specifically does it for a single object. It is also known as Eigenclass. On different thing you would notice here is ‘self’. The greeting.greet method has access to the entire object it has been attached to; in Ruby, it will be referred to that object as ‘self’. In this case, it refers to the String value we attached to it. If we had attached it to anything else, it would have returned that object. Singleton class method allows you to add many methods at once without prefixing all the method names. This syntax also allows you to add anything you would add while declaring the class including attr_writer, attr_reader, and attr_accessor methods. Ask the object if its singleton class can respond to the method, calling it if found. Not only can objects gain methods from their inherited classes, but now they can also gain individually unique methods as the program is running. Singleton classes are definitely helpful, but if you want to work with objects dynamically you need to be able to re-open them at runtime within other functions. Ruby does not allow you to have any class statements within a function syntactically, but instance-eval helps to do this. This method is defined in standard Kernel module of Ruby and allows you to add instance methods to an object just like our singleton class syntax. The instance_eval method can take a block to evaluate, which can be used to define new methods as if you are writing a class. These methods will be added to the singleton class of the object. Although instance_eval and class_eval are quite similar, their scope and application are slightly different. But you can remember which one to use in each situation by keeping in mind that instance methods are made by instance_eval while class methods are made by class_eval. After reading all this, you must be still wondering what and where is metaprogramming? Coming back to the point, metaprogramming allows you to create more flexible code, be it through beautiful APIs or easily testable code. Moreover, it also allows you to do that using powerful programming techniques and syntax. IT allows you to create DRY, highly reusable and extremely concise code. This model is generally used in games where the user buys virtual goods for real currency. The Offer Wall enhances user engagement with incentive offers as an integral yet nonintrusive part of the user experience. It gives the player a chance to earn virtual goods by performing different actions on the wall. 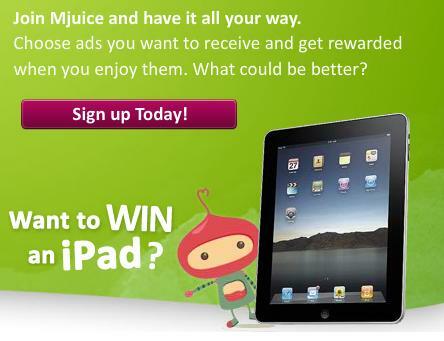 For example, a user gets virtual sign up bonus to sign up into an app. StartApp, Fiksu, and TapJoy offer this model. As the name says, this kind of ad model give away rewards at different levels. The reward is triggered by some event in the app like crossing a level or getting an achievement. A pop up comes on the user screen through which they will get a discount, gift card, coupon, etc. It is a win-win situation for everyone involved. The user will get a reward, and the owner of the app will also get compensated. Pokkt and Kiip are the lead players of this model. Most of the people think that it is one of the most effective ways of advertising, whereas the reality is it is an ineffective method. This kind of ads occupies the top or bottom part of the app screen. When the user taps on the ad, different options open up from watching a video to downloading an app. The dominant players for banner ads are Google’s AdMob and Chartboost. These ads show up at the transition points in an app. Generally, right before the user starts an app or after a game level is completed. Such ads drop off the user to advertiser’s desired URL. AdMob, TapJoy, Unity Ads use this model the most. 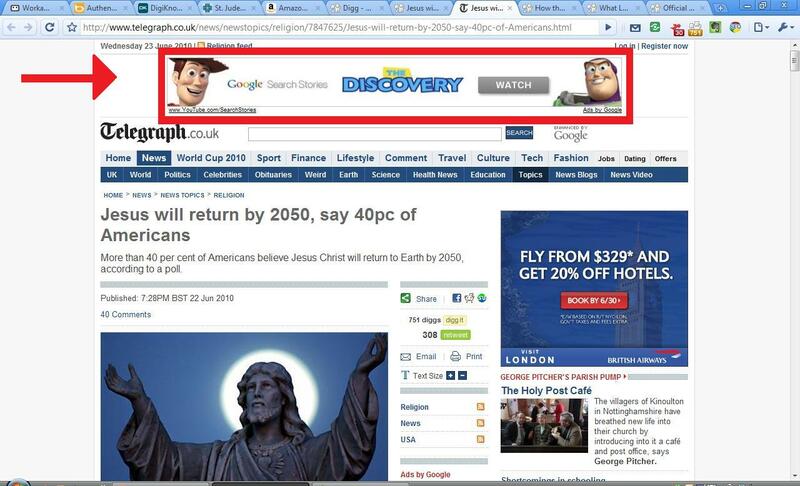 Native advertising is basically content based advertising. The content of the particular website or app is shown in the apps’ news feed. This ad model is considered as the most effective way to generate revenue through mobile advertising. Facebook was the first one to adopt native advertising, and show tremendous growth. 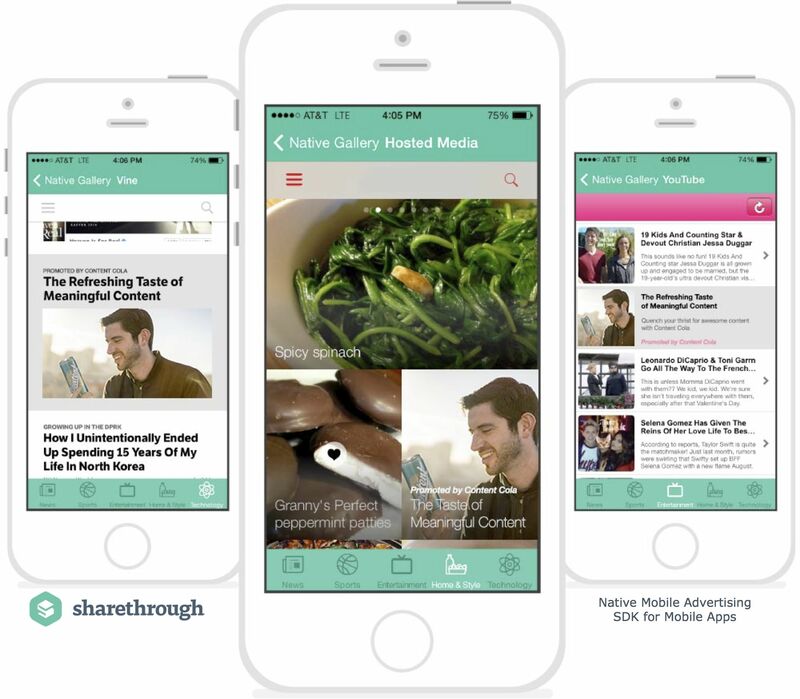 AdRoll, ShareThrough, and PubNative offer this model. The notification ads show up on the screen even when the user is active or working on the app which makes it one of the most undesirable model. This model is only supported by Android. Advertiser will be able to push notification ads at any time. AirPush and LeadBolt work with this mechanism. If you are planning to develop an app that includes mobile advertising, you should research and select the different ad models, then design the app to support the model.